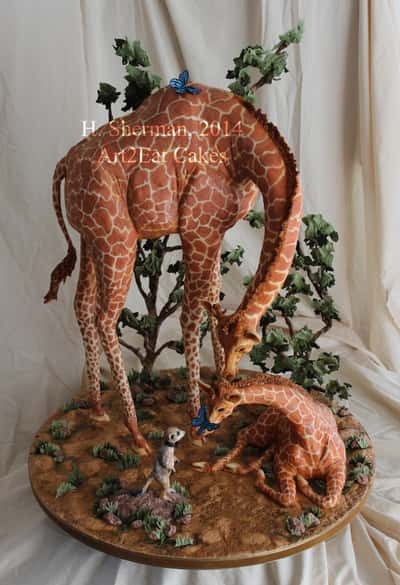 These stunning Art Cakes were all created by a cake sculptor. Art2Eat Cakes makes these cool cakes to order. A perfect idea for when you want to add a unique touch to any event. Great for wedding, parties and celebrations of every kind. ^ It's hard to believe that this is actually a cake. It's called "A Mothers Love Goes Safari" and was created for a home and garden show. 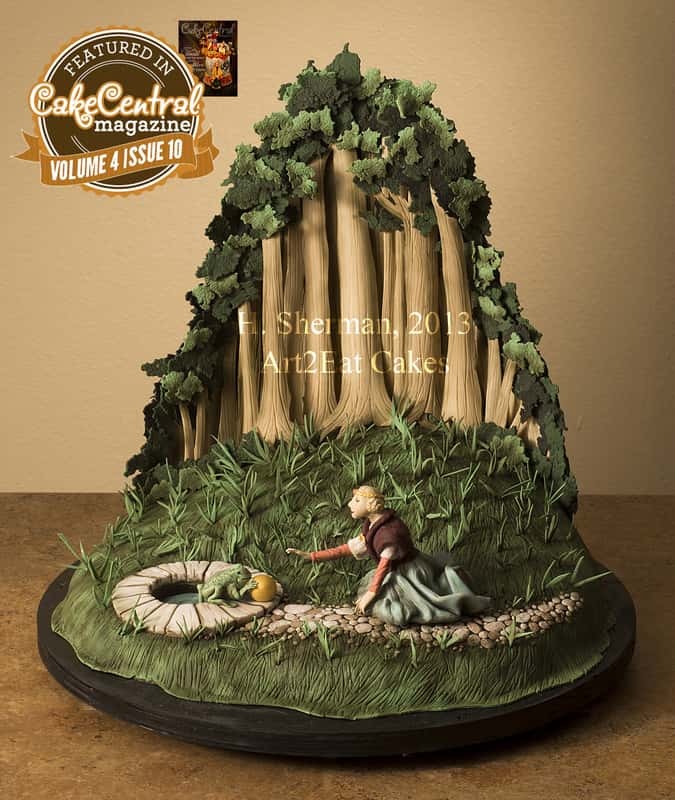 ^ The "Frog Prince" cake was designed for a contest and inspired by illustrations of 'The Frog Prince' by Arthur Rackham. 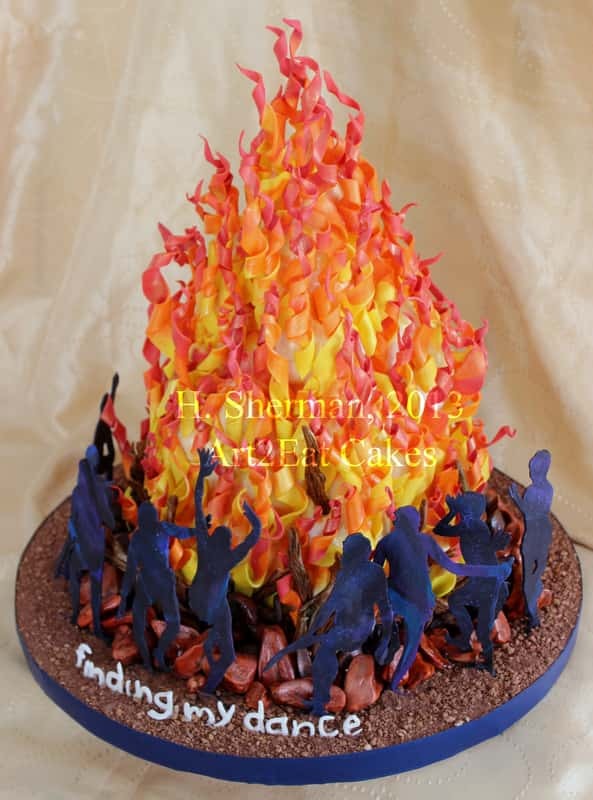 ^ This awesome cake creation is called "Finding My Dance" it was made for Colin Hay. 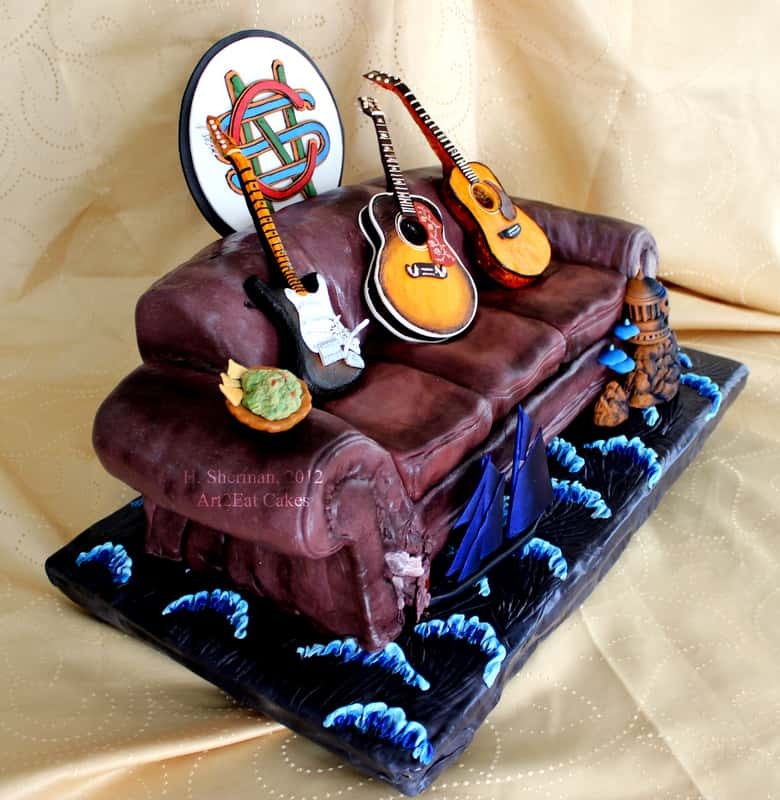 Colin Hay is a musician who was formally a member of the band 'Men At Work' ^ "Crosby Stills & Nash, Old Red Couch" The band loved this cake so much that they posted a picture of it on their facebook page. 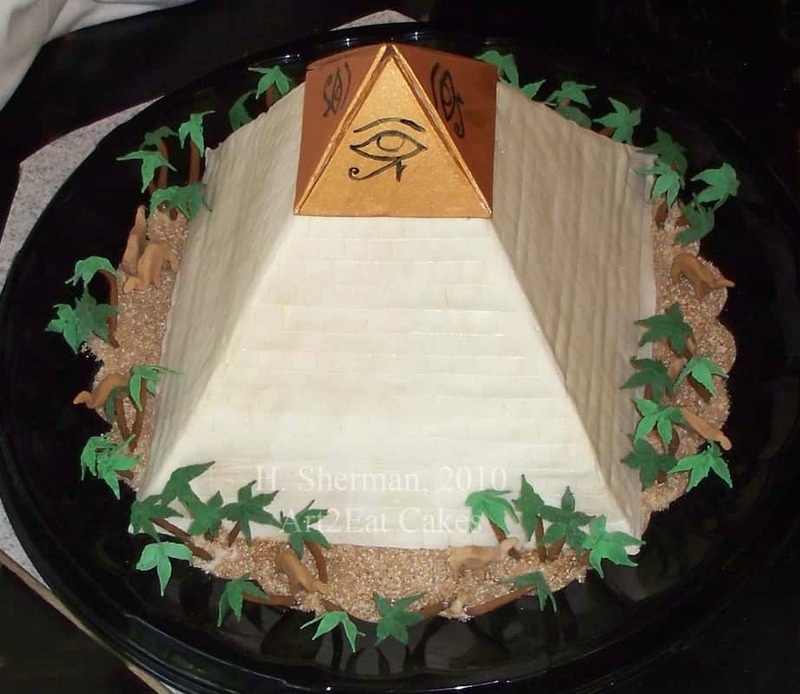 ^ A cool "Great Pyramid of Egypt" cake that was made by the artist for a classroom of children who were learning about Egypt. 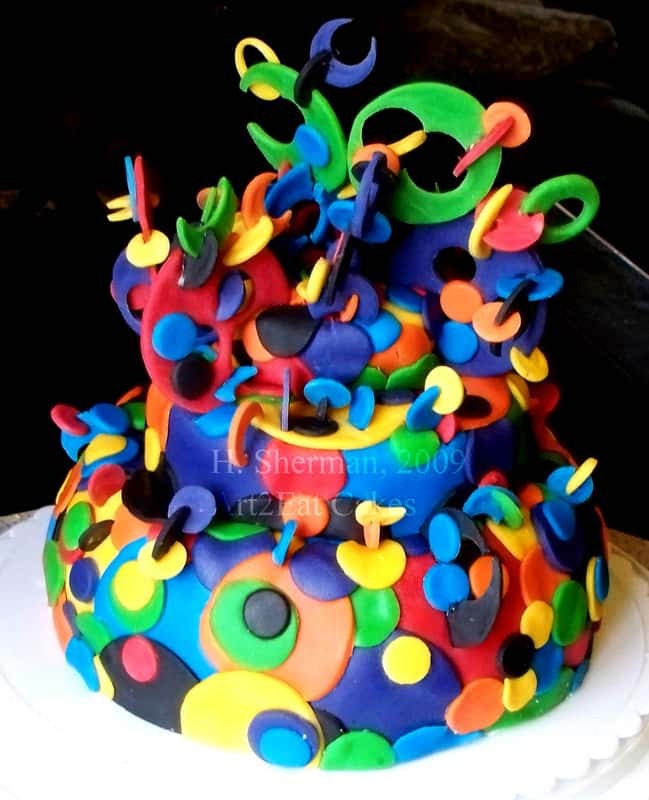 ^ A very bright "Lots O' Dots" party cake. 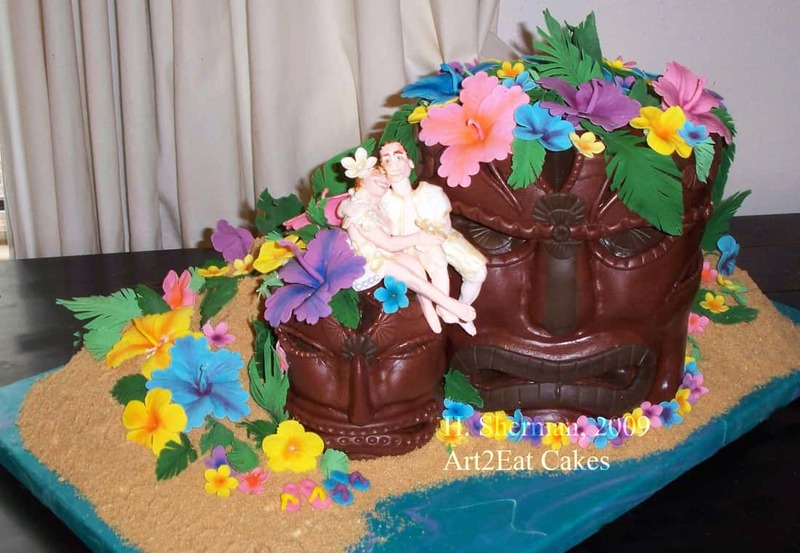 ^ An amazing "Tiki Island Wedding" cake that was created for a Hawaiian themed backyard ceremony. 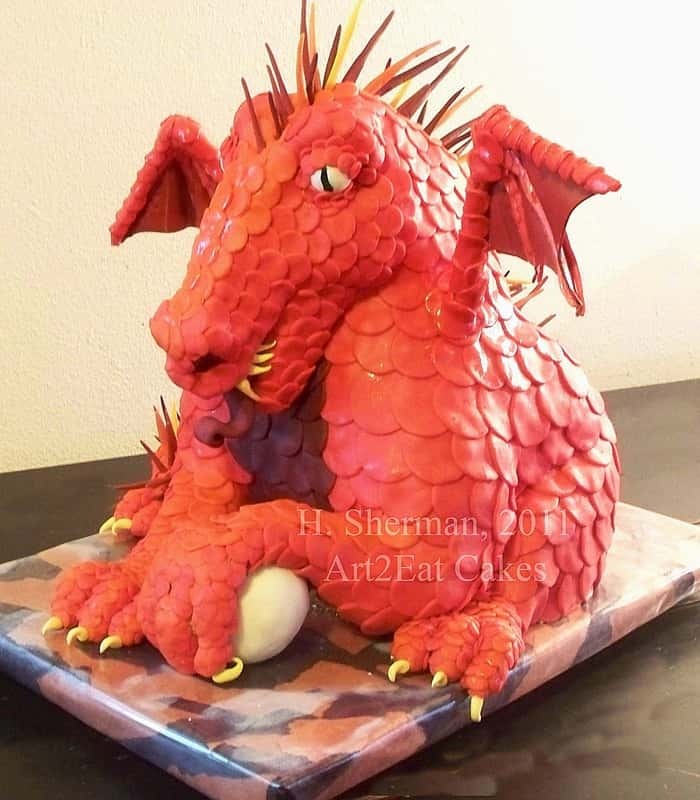 ^ This supurb "Red Dragonling" cake is one of the most popular ones created by the artist. 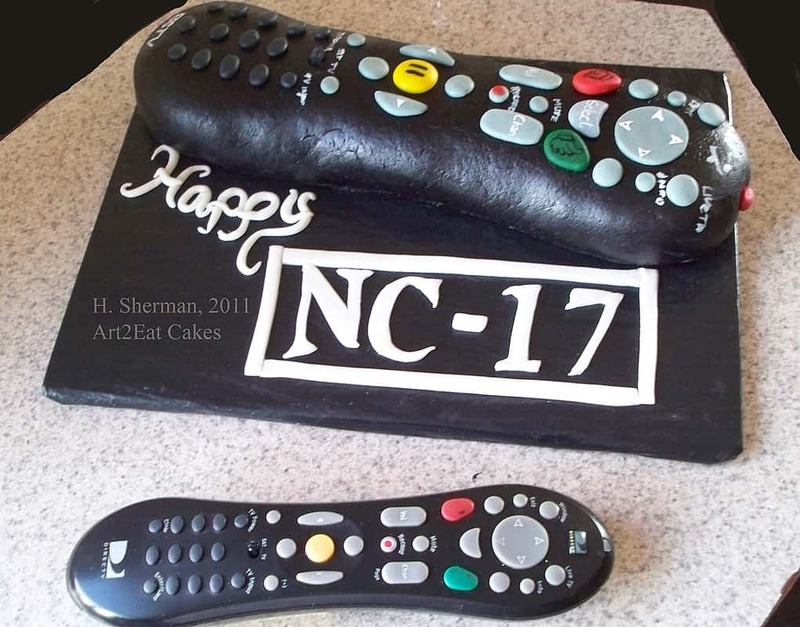 ^ A "Remote Control" cake which is an excellent idea for teens. 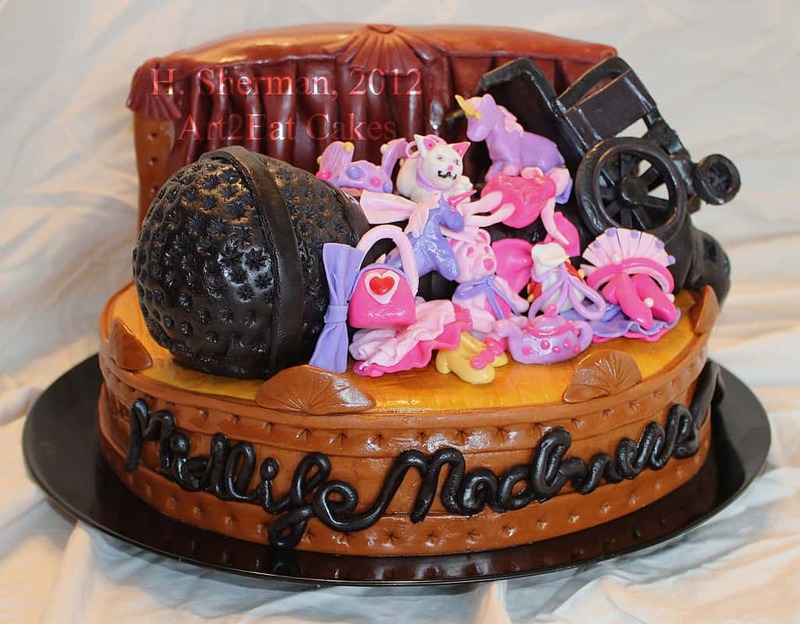 ^ This is "Midlife Madness" it was made to represent Jim Breuer's Midlife Madness tour in 2012.